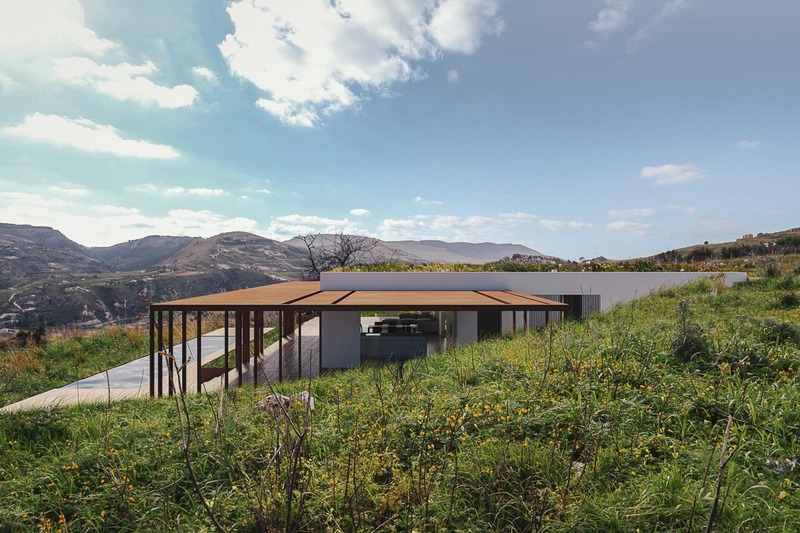 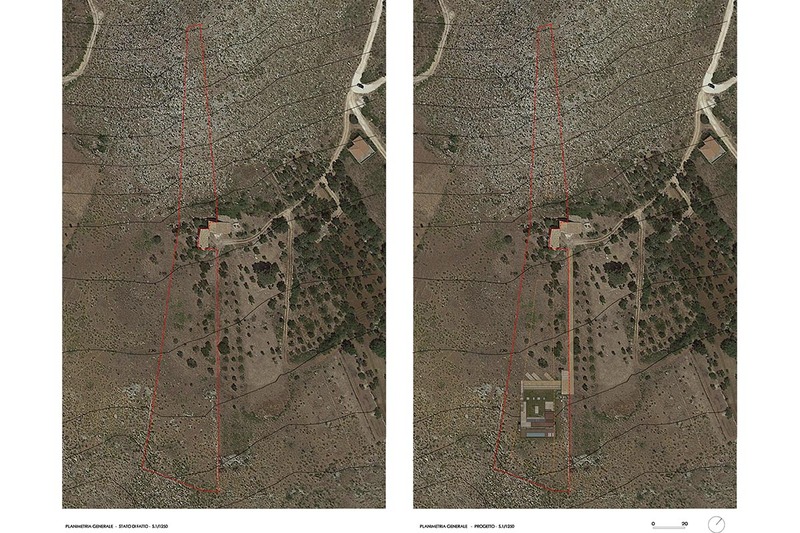 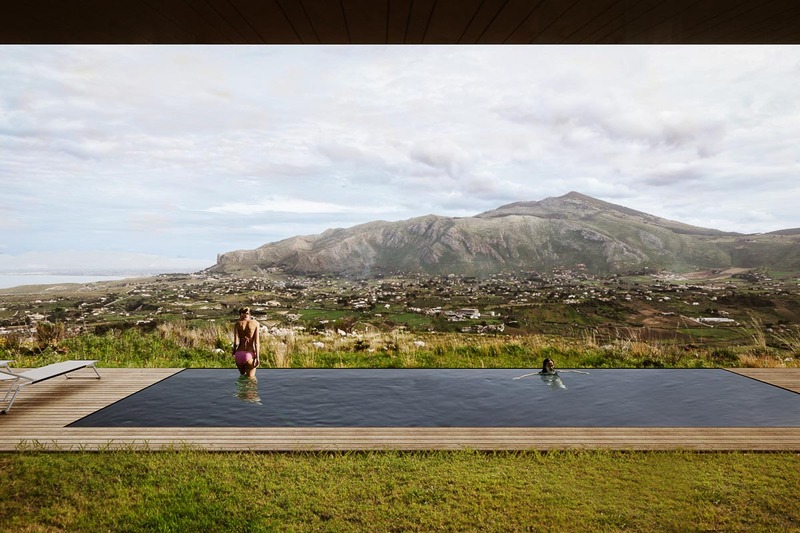 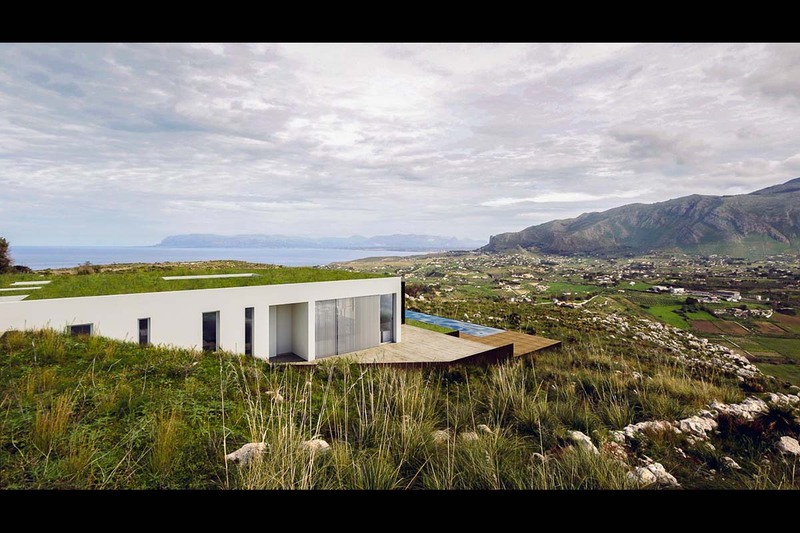 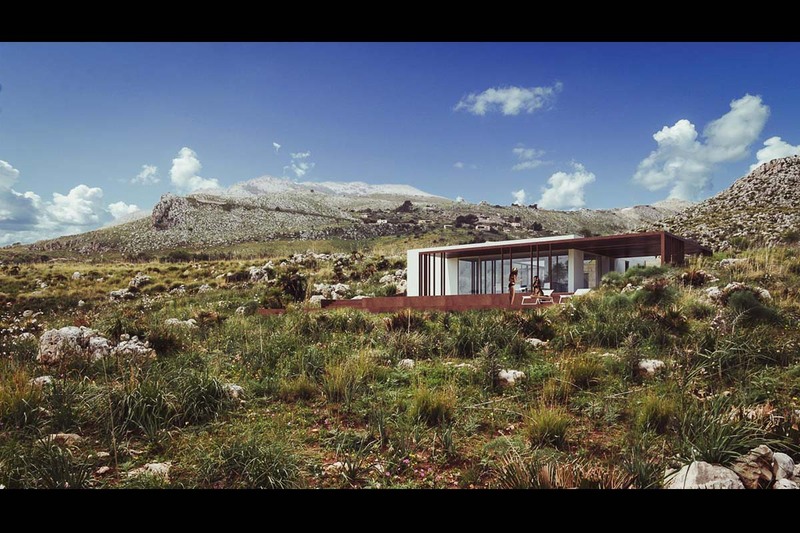 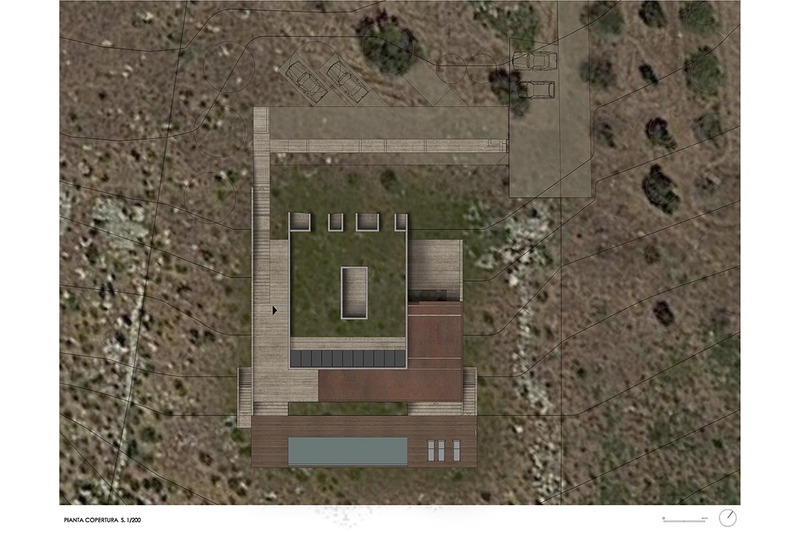 The rural house is located on a sloping plot facing the landscape of Castellammare. 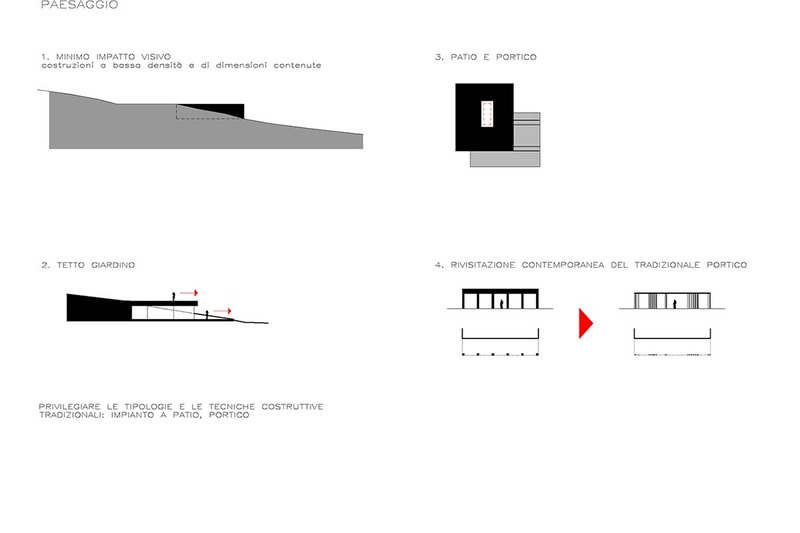 The volume is embedded in the topography, which coincides upstream with the upper edge and downstream with the walking surface. 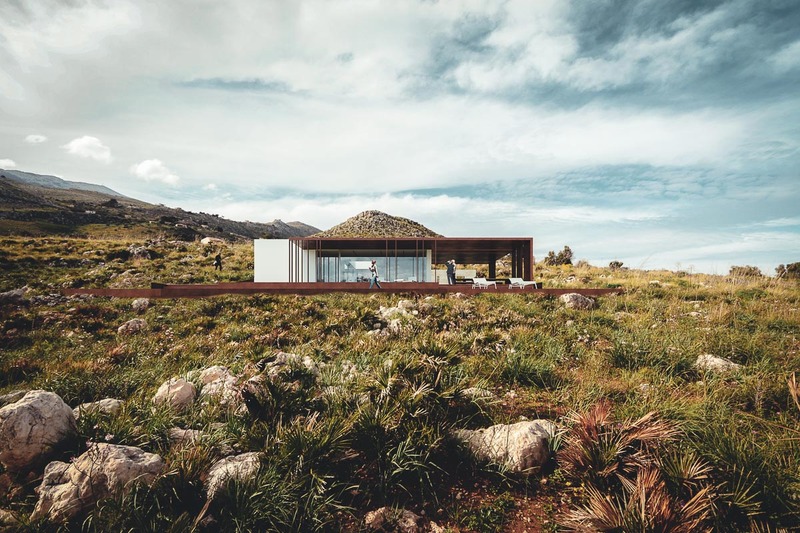 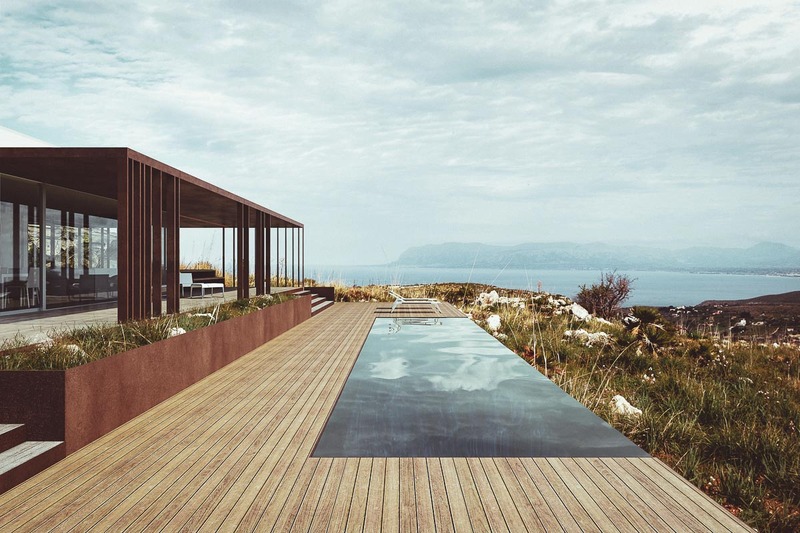 The external spaces are marked on the east side with a corten roof and, at a lower level, the infinity pool that frames the landscape. 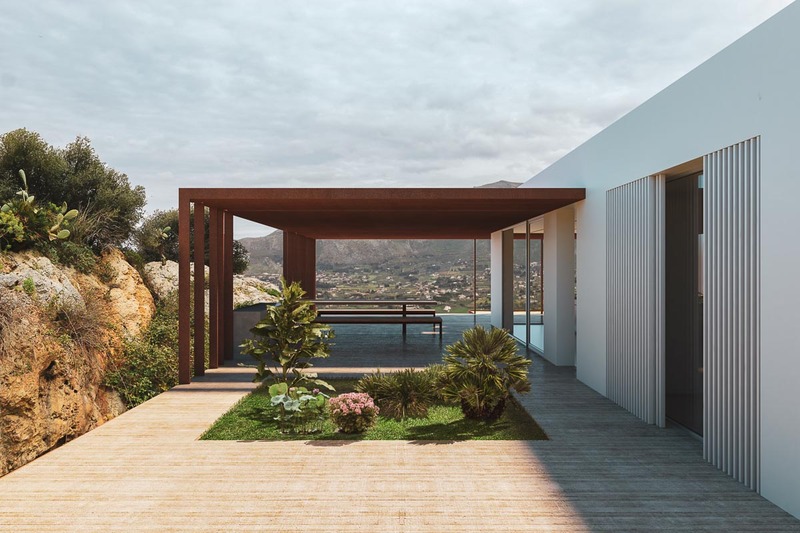 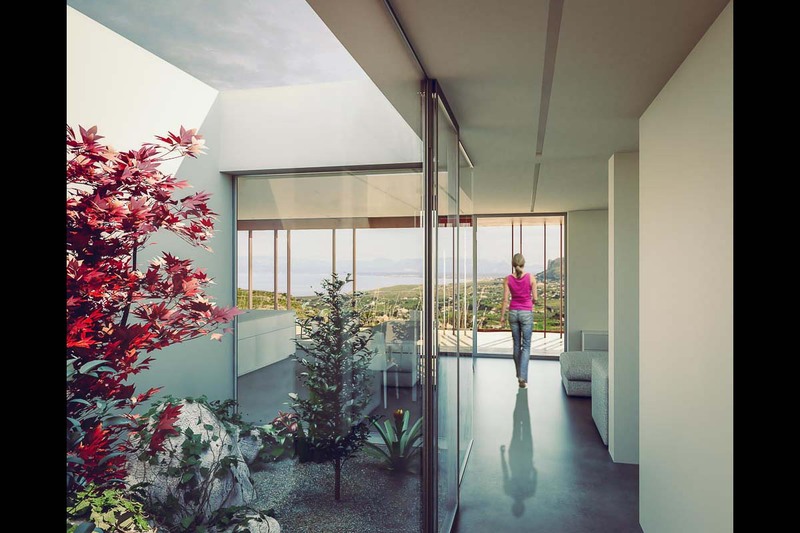 The plan functions are organized around the central courtyard that frames the view on the Monaco lace and creates a visual and perceptive continuum of nature on the two sides of the landscape: south-east towards the sea and north towards the mountain. 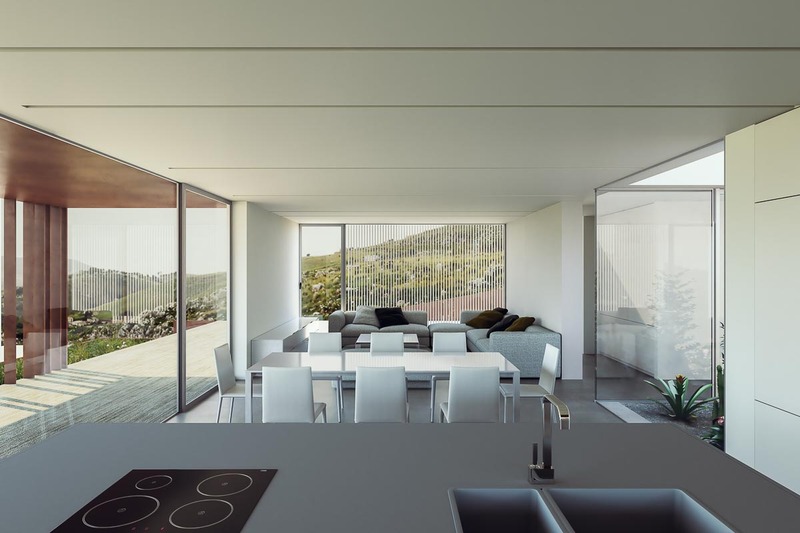 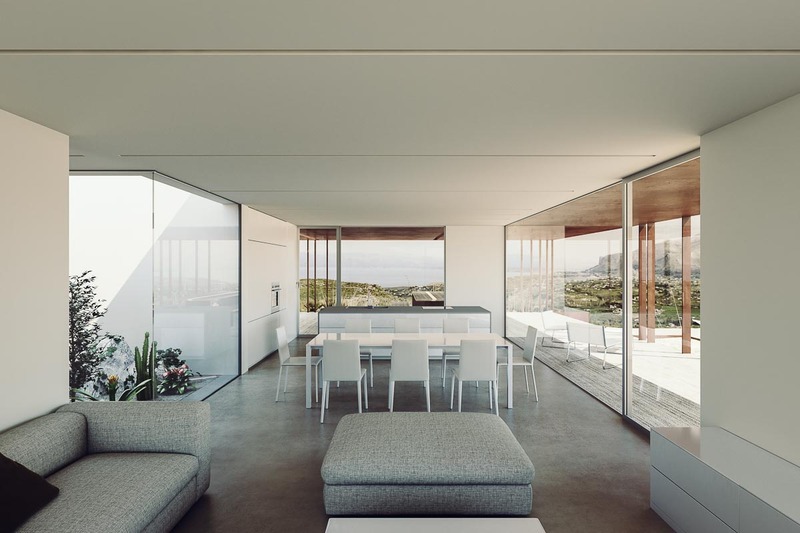 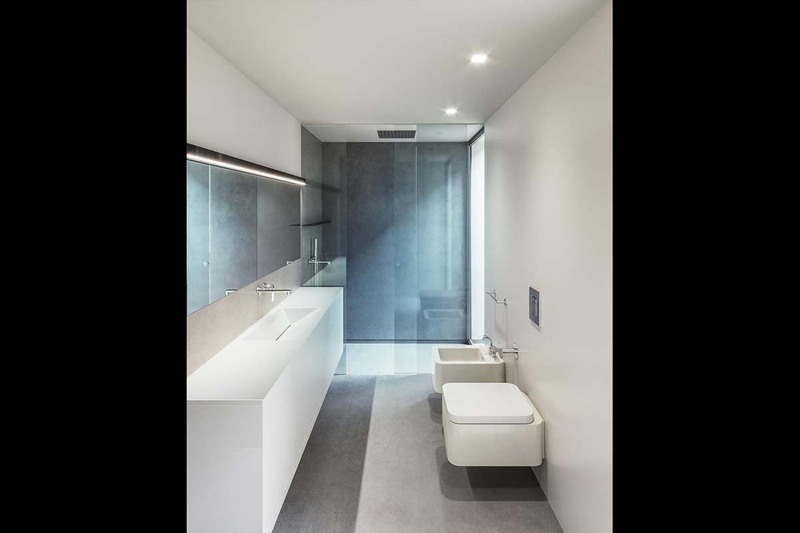 On the south side there are the functions of the living area, linked to the shed and to the external spaces; on the opposite side, on the west side there are two bedrooms with the main bathroom and on the east side there is the main bedroom with en-suite bathroom.